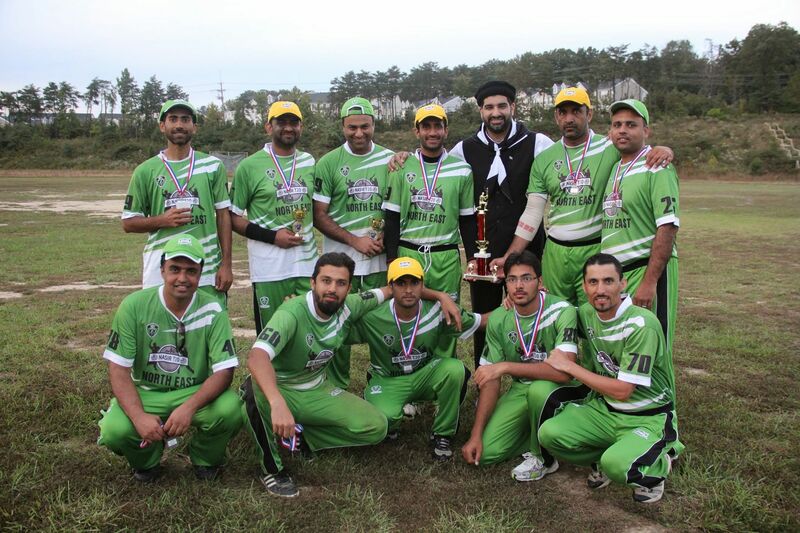 Majlis Khuddam-ul-Ahmadiyya USA held its 1st Annual Nasir T20 Cricket Tournament on September 27th to September 28th at the WCC Turf Park in Laurel, MD. 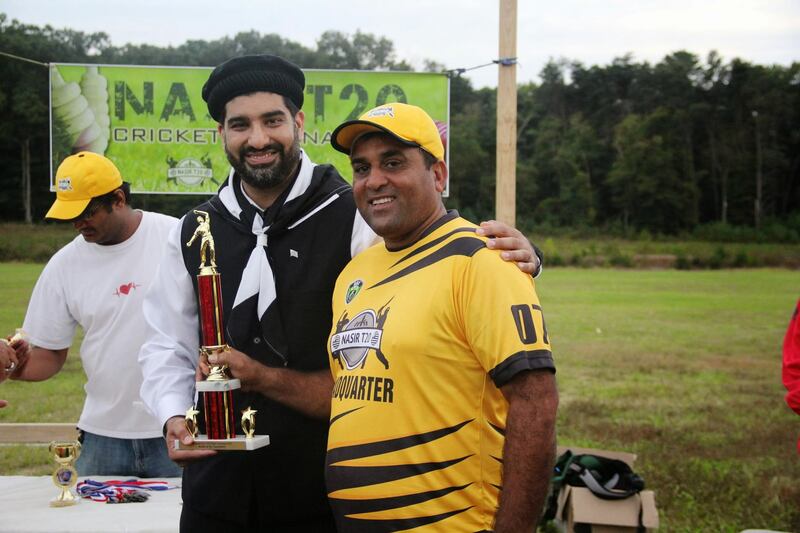 It was the first time ever when MKA USA organized a cricket tournament of 20/20 format while using leather cricket balls. Six teams across the United States participated. These teams comprised of the West Coast, Midwest, Gulf, Northeast, Southeast, and Headquarter regions. Teams arrived at Bait-ul-Rehman on Friday, September 26th. The opening ceremony took place on Saturday morning after Fajr prayers and breakfast. Respected Sadr Sahib Dr. Bilal Rana and Naib Incharge of Majlis-e-Sehat USA Bashir-ul-Din Shams Sahib presided the opening ceremony. The ceremony was concluded with the team draws. Based on the draw results, Gulf, Midwest, and Southeast were placed in Pool A while Northeast, West Coast, and Headquarter were placed in Pool B. The teams departed for the Cricket fields. The Cricket facility had a unique feature of turf pitches of international standards that are very rare to find in the USA. 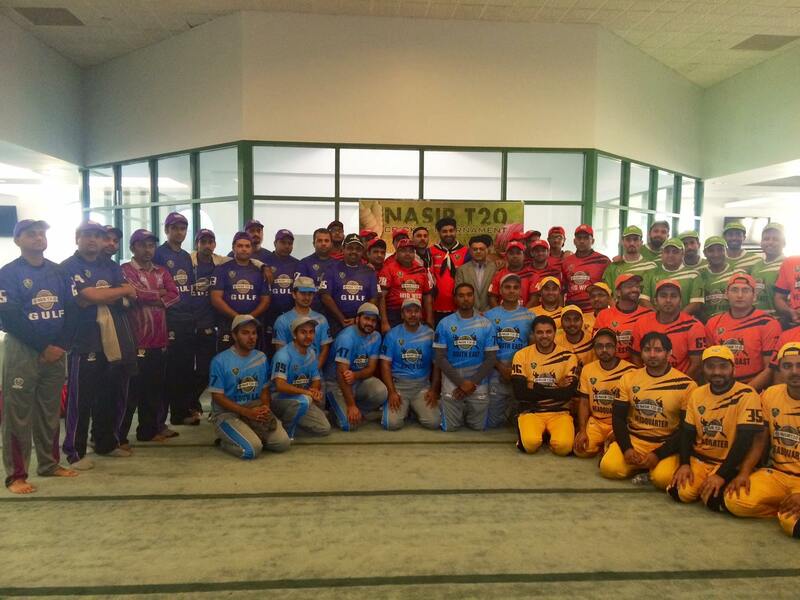 The facility also had two cricket fields side by side that allowed conducting two matches simultaneously. The morning match on Ground A took place between West Coast and Northeast. West Coast batted first and put on a total of 140 runs with the noticeable innings of fifty-eight runs from Amir Arif. Northeast failed to chase the target and was restricted to 122 in twenty overs. Waqas Mirza was the Man of the Match due to his excellent bowling spell of two wickets for eleven runs. On the adjacent ground, Southeast and Gulf battled it off. Southeast batting first scored 125 runs. The match was thriller since Gulf managed to chase the target in the final over of the game. Rashid Chaudhry was the Man of the Match who scored forty runs to take his team past the finish line. The afternoon match on Ground A was played between Northeast and Headquarter. Northeast put on a total of 119 runs for Headquarter to chase. Northeast’s excellent bowling gave Headquarter stiff competition and were all out at 94. 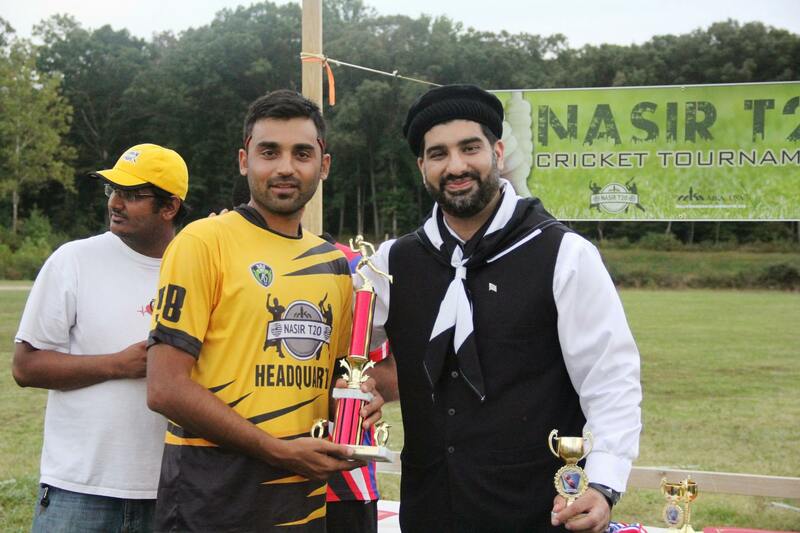 Usama Mansoor of Northeast took five wickets and was nominated the Man of the Match. The second afternoon match at Ground B was played between Southeast and Midwest. Due to the time constraint the match was reduced to nineteen overs a side. Southeast batted first and put on 129 runs in nineteen overs. Midwest was all out at 87. Irfan Malik of Southeast was awarded the Man of the Match because of his valuable thirty four runs with the bat and three wickets with the ball. The evening match on Ground A was played between Headquarter and West Coast. West Coast needed a win to seal the spot in the semi-finals. Headquarter not only needed a win but a comprehensive one to increase their net run rate to go up in their pool. West Coast batted first and got off to a very shaky start. They lost early wickets but Mohsin Salahuddin came to their rescue and played an excellent innings of forty six runs to take the team’s total to 104 runs. Headquarters needed to chase this target in fifteen overs to go past West Coast in the net run rate. Hamayun Mirza made the task look very easy with some extra ordinary hitting to reach his quick half-century. Headquarter chased the target in just the 7th over of their innings which sank the hearts of the West Coast players as West Coast was eliminated from the tournament. Headquarter along with Northeast qualified for the Semi-finals from Pool B. The evening and the final match of the day on Ground B was played between Midwest and Gulf. Gulf batted first. With Adeel’s excellent innings of forty runs, Gulf managed to score 123 runs in their allotted twenty overs. Midwest not only needed a win but was required to chase the target in 16.2 overs to surpass Gulf in the net run rate. Midwest started the chase very confidently and scored eighty nine runs in the first eleven overs. The match resumed the next morning due to the lack of lighting. All the players came back to Masjid Bait-ul-Rehman in the evening where a special dinner was awaiting them. Respected Ameer Sahib graced the occasion with his presence and had an open question and answer session. The action resumed on the sunny Sunday morning. Gulf vs Midwest match resumed from where it was left Saturday evening. Midwest needed thirty five runs in 5.2 overs to qualify for the semi-final. 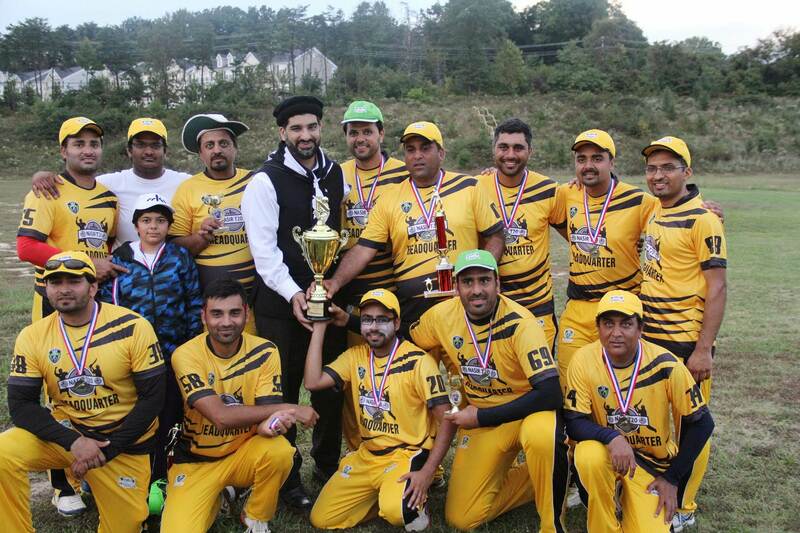 Nosherwan from Gulf delivered an extraordinary bowling spell taking four wickets in four consecutive balls and made the task tough for Midwest. However, Midwest came back strong and with the boundary on the 3rd ball of the 17th over, Midwest chased the target. The net run rate of Midwest and Gulf came so close that net run rate calculations became objectionable by both teams. In order to maintain fairness, the Official Committee and the captains agreed to decide the winner through a super over. Both teams had one over to play. Midwest batted first and managed to score seven runs. Gulf chased the score effortlessly and hence Midwest was eliminated. Gulf and Southeast made to the semi-final from Pool A. The semi-finals between Headquarter and Southeast at Ground A and Gulf and Northeast at Ground B started simultaneously at around 10:30 AM Sunday morning. Headquarter batted first against Southeast and put on a respectable total of 156 runs. Hamayun Mirza’s forty six runs, Daud Bhatti’s thirty six runs, and Daniel’s twenty nine runs were the noticeable contributions with the bat for Headquarter. Southeast lost an early wicket of Asif Mahmood in their chase but Dr. Kalim and Muzammal Gondal built a steady partnership to take the team’s total to forty five runs. Upon Dr. Kalim’s fall of wicket in the 8th over, none of the other batsman stayed long enough with captain Muzammal Gondal and the asking run rate kept shooting higher and higher. Southeast chances of winning became really slim upon the fall of Muzammal Gondal’s wicket. Southeast lost by twelve runs. Muzammal Gondal’s forty five runs, Daud Ahmad’s twenty four runs, and Dr. Kalim’s twenty two runs were the noticeable contributions. Ahmad Bhatti of Headquarter was the Man of the Match for his two wickets and assist in a crucial run out of Muzzamil Gondal. Northeast batted first in the second semi-final against Gulf and put on a total of 169 runs. Captain Hamid Bajwa’s forty one runs, Amish’s twenty six runs, and Anwar’s twenty four runs were the noticeable contributions from Northeast side and Nosherwan’s four wickets from Gulf side. Gulf needed to chase 170 runs to win. None of their batsmen managed to play long innings to chase this huge target. Nemat’s thirty two runs and Asad Basra’s twenty five runs were the only noticeable innings from Gulf side as they failed to chase the target and were all out at 125 runs. Hamid Bajwa was the Man of the Match for his forty one runs with the bat and three wickets with the ball. All eyes were on the big match now. Headquarter and Northeast were the finalists. Northeast had a psychological edge as they had beaten Headquarter in the pool match and had a convincing victory in the semi-final. Headquarter batted first and lost early wickets but Mian Mehmood from Headquarter played beautifully for his half century and lead his team to put on a decent total of 139 runs. Waqas Asghar from Northeast took three wickets while Usama Anwar took two wickets. Northeast required 140 runs to win. Their chase was shaky and they kept losing wickets at regular intervals. None of the Northeast batsmen could play long innings due to disciplined bowling and fielding from Headquarter side. 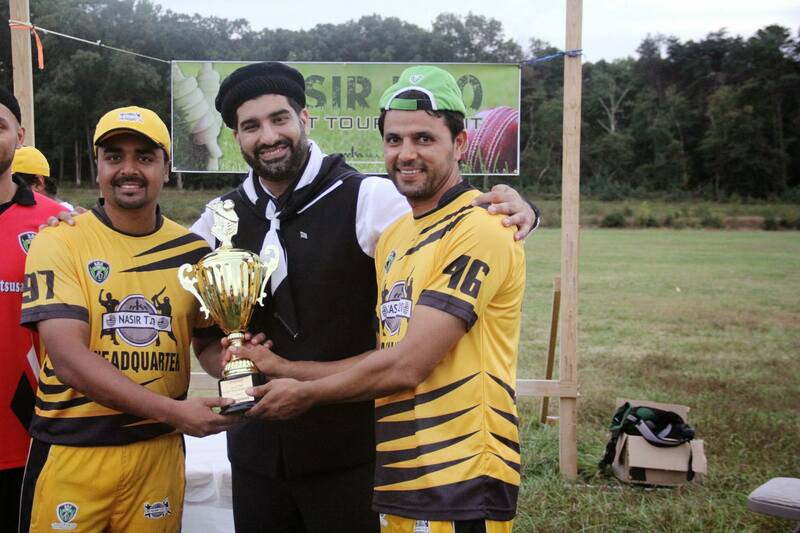 Ahmad Bhatti got four wickets while Daud Bhatti took 3 wickets from Headquarter to seal the victory. Northeast was all out for seventy three runs and Headquarter emerged as the champions of the 1st annual Nasir T20 cricket tournament. Mian Mehmood was the Man of the Final. The prize distribution ceremony took place at the cricket field right after the final. Sadr Sahib MKA Dr. Bilal Rana handed over the awards. Dr. Hamid Bajwa of Northeast was awarded the Batsman of the Tournament trophy for scoring 145 runs in the tournament. Hamayun Mirza of Headquarter had the second highest runs in the tournament with 136, and Mian Mehmood of Headquarter had the third highest with seventy six. Rashid Chaudhary of Gulf and Amish of Northeast followed with sixty eight and sixty five runs respectively. 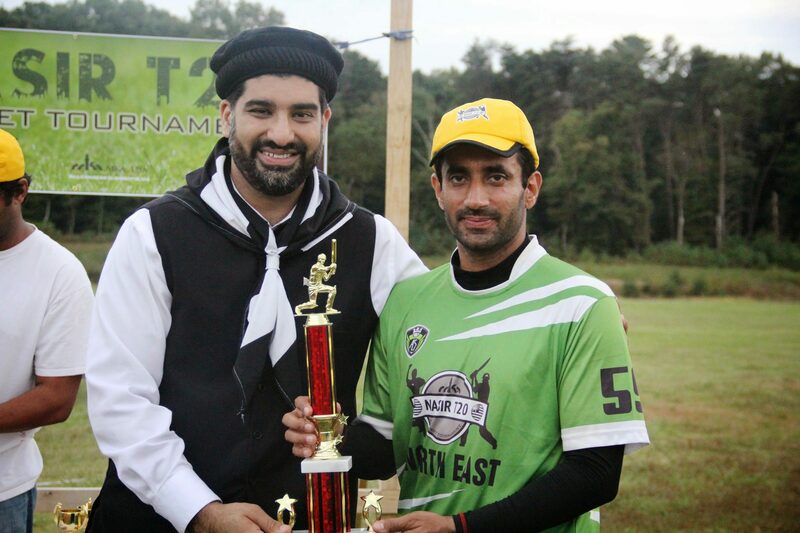 Daud Bhatti of Headquarter was awarded the Bowler of the Tournament trophy for his eleven wickets in the tournament. The second highest wicket taker was Ahmad Bhatti of Headquarter with nine wickets followed by Usama Anwar of Northeast with eight wickets and Nosherwan Ahmad of Gulf with eight wickets. The Fielder of the Tournament trophy was awarded to Danial Ahmad of Headquarter for his exceptional fielding and assist in multiple run outs. Sadr Sahib MKA also handed over the trophies to the various Men of the Matches and certificates to the Nazimeen of the tournament. Sadr Sahib MKA also recognized Waseem Malik Sahib and Bashir-ul-din Shams Sahib of Majlis-e-Sehat USA for their inspiration and services rendered to the youth. By the grace of Allah, all in all the tournament was very successful and the participants thoroughly enjoyed the tournament.